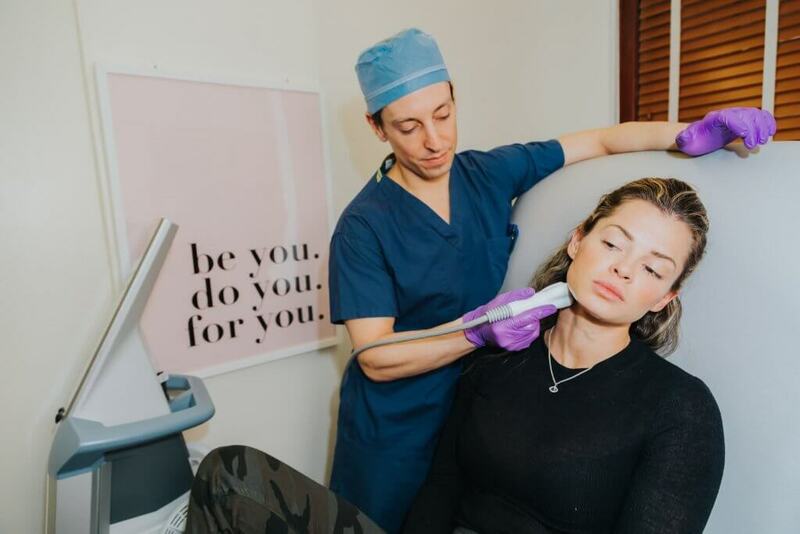 Neinstein Plastic Surgery offers non-surgical facial and body skin tightening enhancements with the Venus Legacy platform. The radio frequency energy penetrates into the deep layers of the skin to boost and tighten your collagen. Most patients will typically have 4 sessions one week apart, each session is about 15-30 minutes and can be combined with other treatments. Radio frequency technology is safe and effective for all skin tones, even darker complexions. Q: Do I need to do anything to prepare for contouring treatment? A: Make sure your skin is clean and do not apply any lotions, creams or makeup before your treatment. Also, remove all jewelry around the target area. The applicator will slowly get warmer util your skin reaches the needed temperature and stays within that temperature range. However, if you do feel it’s too hot, just let the operator know and they can easily lower the temperature a bit. Q: What will I feel after my treatment? Q: How long will results last and are they permanent? 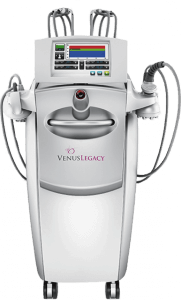 Venus Legacy is a highly advanced non-invasive medical device that effectively resolves challenging face and body aesthetic needs, such as non-surgical cellulite reduction and wrinkle reduction. Contouring treatments are comfortable with no downtime using RF technology that is safe for all skin types. Venus Legacy is powered by proprietary technology that combines Multi-Polar Radio Frequency and Pulsed Electro Magnetic Fields, and features cutting-edge VariPulse technology.